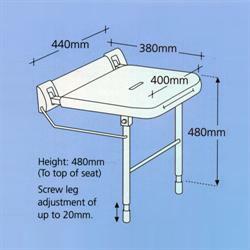 White coated stainless steel with one piece back plate and drop down legs. Buying this product will earn 1548 Loyalty Points. 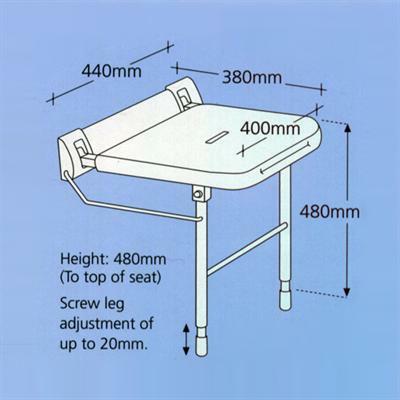 Be the first to submit a review for the Shower Seat 380mm Projection With Legs.